Word is that a constellation of talents is looking to make a splash in the animation field, music division. 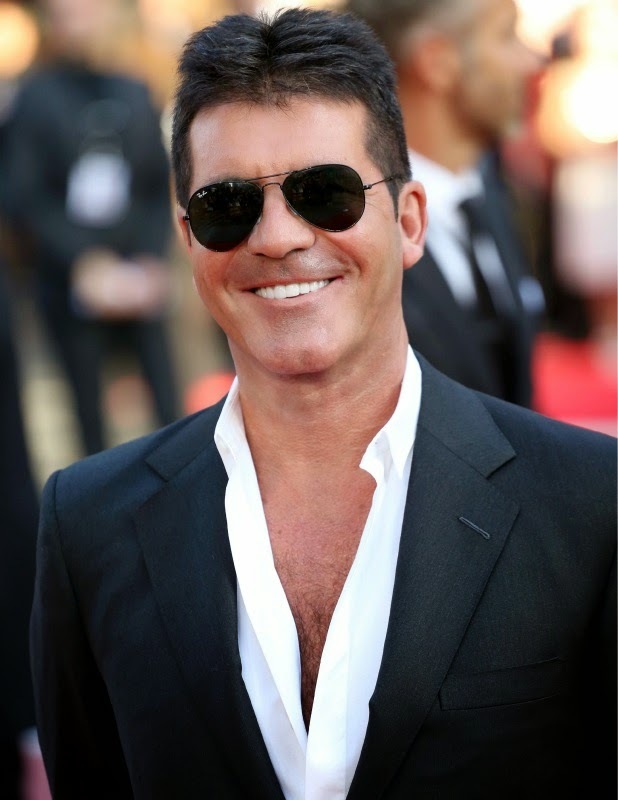 Impresario Simon Cowell of "The X Factor" and "American Idol" fame has decided to go into animation in a big way. He has signed up One Direction (Harry Styles, Niall Horan and Liam Payne, all 20, and Zayn Malik, 21, and Louis Tomlinson, 22) to star in a series of animated products to be determined. Cowell has worked a deal between his Syco Entertainment and Australian animation powerhouse Animal Logic Entertainment to feature One Direction in various project that are hoped will follow in the magical footsteps of The Beatles and their '60s animated feature film "Yellow Submarine." The Beatles in "Yellow Submarine"
Yes, that's pretty ambitious. There are few animated films that have had the cultural impact of "Yellow Submarine," and mentioning One Direction in the same breath as The Beatles is quite an honor to them, as they no doubt would agree because they aren't stupid. One Direction has had quite a bit of success. Their smash hit "This Is Us" has grossed over £60million worldwide, including ancillary products. They are a phenomenon with the younger crowd, not so much with their elders, but that can change - either way. Plans so far are vague. There may be music videos, feature films that include brief live appearances by One Direction, and everything in between. It appears certain that there will be multiple projects over a period of time. Just as a side note, there have been lots of animated projects from singers and bands, perhaps most famously Peter Gabriel's iconic "Sledgehammer" stop motion video from the mid-1980s. The difference with this deal is that it involves multiple projects from top talent over a continuing period of time. Well, maybe that isn't so different from what Gabriel and others have done (Gabriel did multiple videos with powerhouse Aardman that were hugely successful), but it's sure to be exciting for One Direction fans at least and, well, new. Sorry if that seems kind of anti-climactic, but there is very, very little new in the music/animation combination that hasn't been tried before. Bands put out animated music videos all the time. There's just a lot of money and talent at play in this deal, which must be respected. This could either be a huge success (likely), or a huge flop (like The Beatles' follow-up, "Magical Mystery Tour" film - see, it happens to the best of them). One Direction is in the middle of their hugely successful Where We Are stadium world tour.